Available January 8 – January 26. 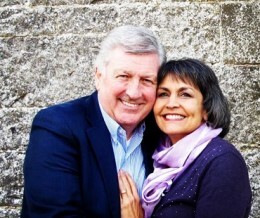 Barry & Ann are privileged to continue to serve God in Ireland, now as a married couple. Ann has ministered in Ireland as an AGWM missionary since 1993, and Barry has ministered in Ireland and beyond over the past 40+ years.